Exactly eight years ago, on January 12, 2010, I happened to be in Port-au-Prince when a major earthquake struck southern Haiti, killing tens or hundreds of thousands of people. That night and in the five days that followed I saw a few Haitians acting selfishly, but mostly I watched and interviewed people trying to help each other, many of them digging through rubble with hand tools or bare fingers, sometimes endangering themselves in attempts to rescue friends, neighbors, and even complete strangers. I was able to write three reports on my experiences while still in Haiti, here, here, and here; I added two more after my return to New York. 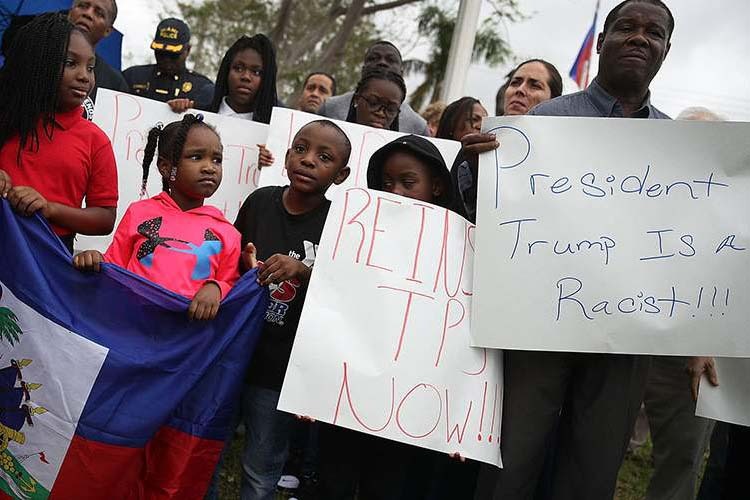 On January 11 of this year, the eve of the anniversary, Donald Trump reportedly described Haiti to a group of lawmakers in the White House as a “shithole country.” At about the same time, his immigration agents in New York were detaining the popular Trinidadian-born activist Ravi Ragbir, the executive director of the faith-based New York Sanctuary Coalition. A week earlier they had detained another of the organization’s activists, the Haitian-born Jean Montrevil. There is no evidence that Donald Trump has ever in his life performed a single selfless act, let alone any act of heroism. Probably he wouldn’t be able even to imagine the nobility of character I witnessed among Port-au-Prince residents after the earthquake, and among “alien” activists like Ravi and Jean here in New York. Many of the president’s supporters—people like Ann Coulter come to mind—are no better than their racist leader. Homo sum. Humani nihil a me alienum puto. I’m a human being. I consider nothing that is human alien to me. In the context of the play, the line is tinged with irony: the character who delivers it is one of those busybodies who give good advice to others while making a mess of their own lives. But the sentiment resonated with Roman audiences. “They say that whole theaters, full of stupid and ignorant people, applauded that idea,” Augustine of Hippo wrote five centuries later (Letter 155). The ancient Romans were people whose idea of a good time was watching men slaughter each other in arenas. But at least the Roman public, even its “stupid and ignorant” members, understood the idea of sympathizing with others. You have to wonder how many 21st-century people in the United States would applaud that line, and how many would simply sneer at Terence as a “PC snowflake” from some “shithole country” in Africa.